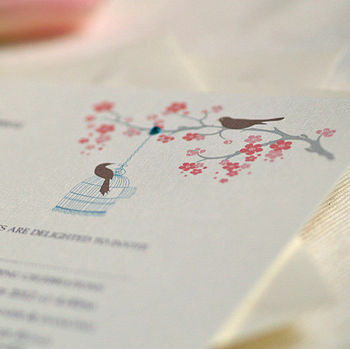 A delightfully illustrated personalised wedding / party invitation with a vintage inspired design in soft colours and pale grey text. 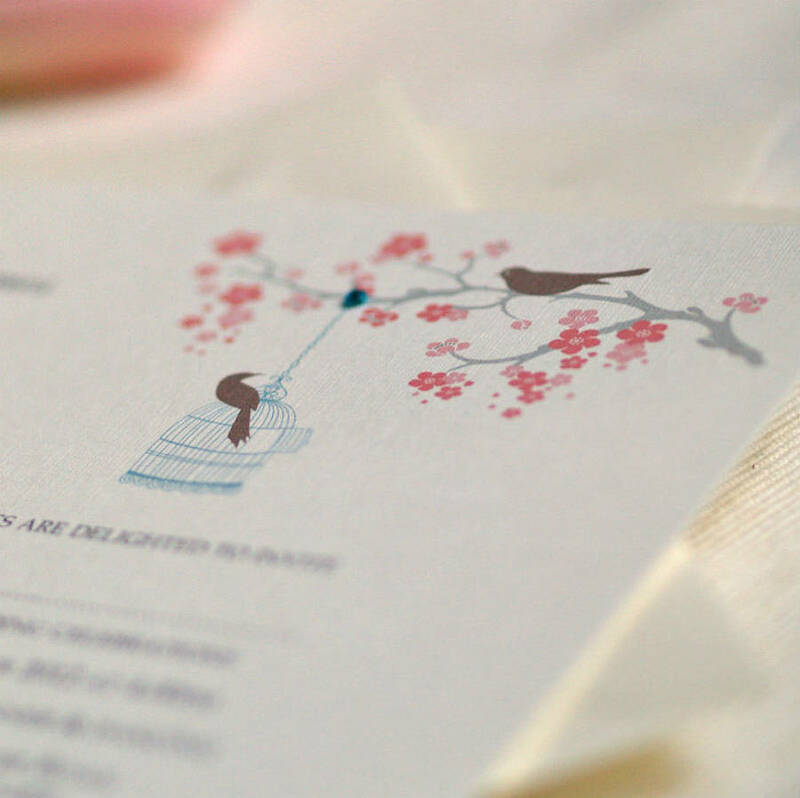 Personalised wedding invitataions featuring Love Birds on a branch, with lovely soft colours.. 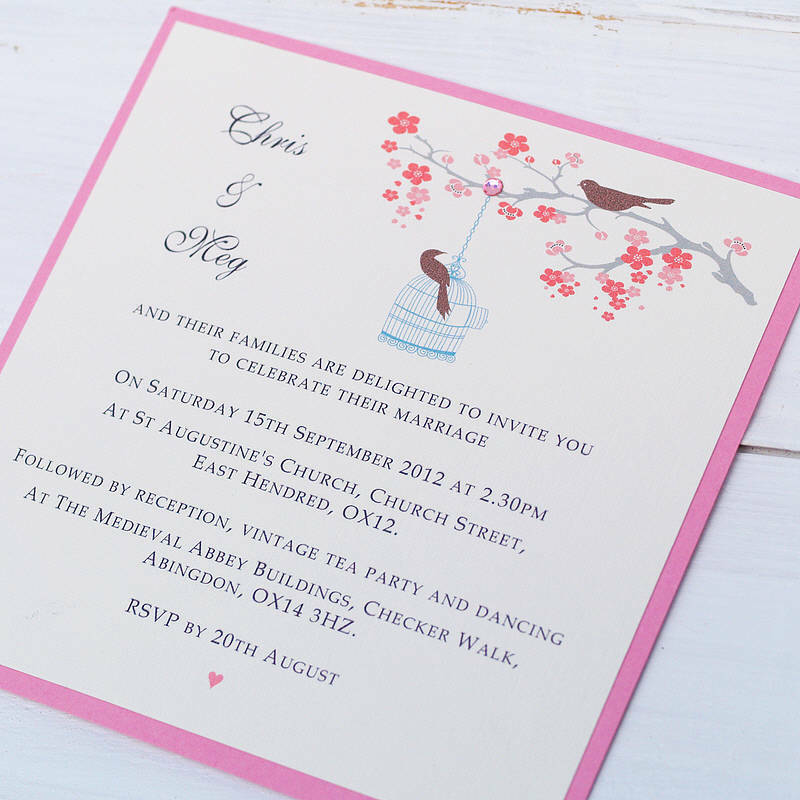 Printed on a silkweave textured ivory 260gsm card. Mathcing ivory gummed envelopes are included. These can also be decorated with a Swarovski gem (optional). 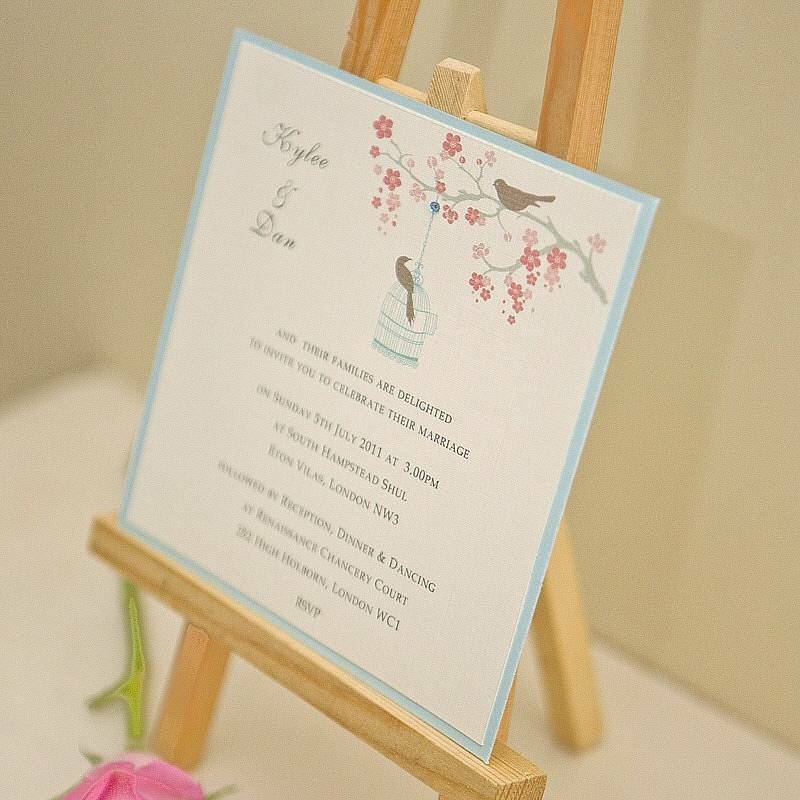 Other optional extra's include RSVP cards, thank you cards and insert cards, you can also have the invites personalised with guest names, these options are all available from the drop down menu. Could also be used for engagement, anniversary or birthday parties. 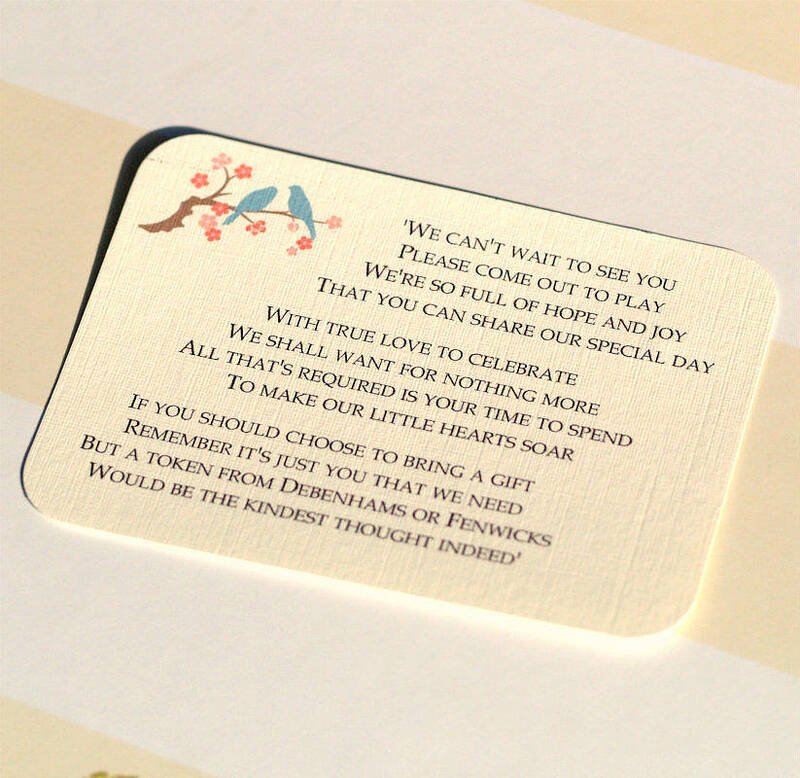 Printed on a silkyweave textured ivory 260gsm card, can be decorated with a sparkly turquoise Swarovski gem (optional). Cream square gummed envelopes included. 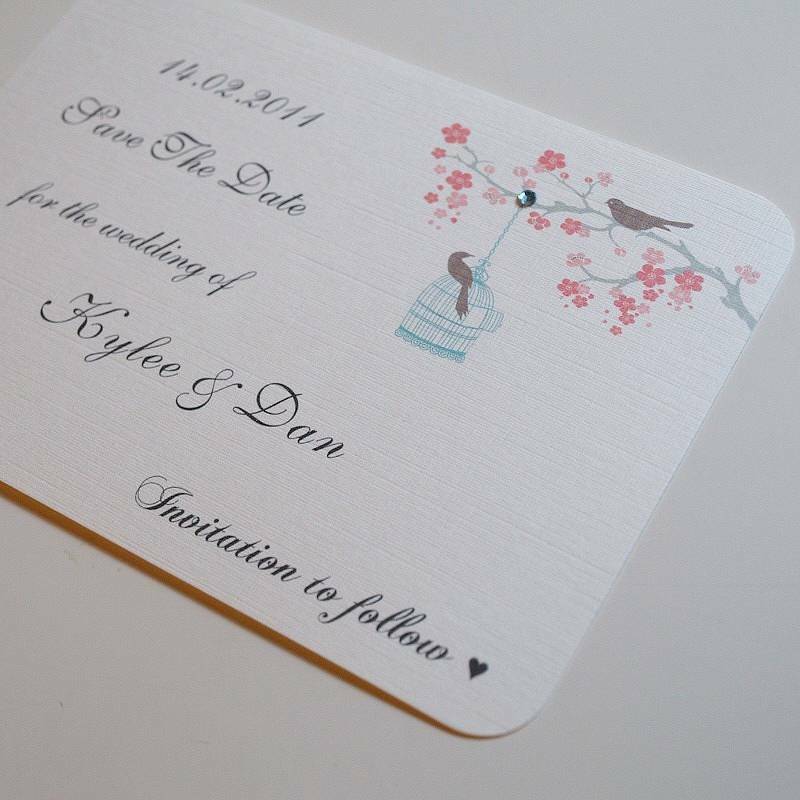 This invite can be ordered as a flat card (with round edges) or double mounted onto a soft blue card. International customers, when ordering 20-70 cards the delivery cost will be approximately the same as is you have 1 card in your basket. If you are unsure please contact me via 'ask the seller a question' button.